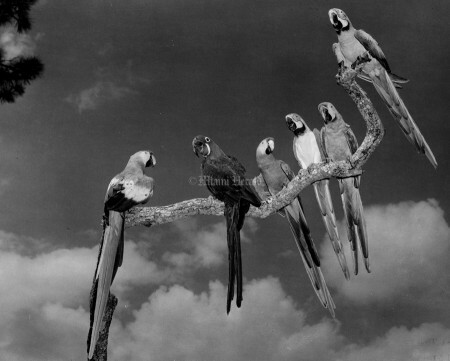 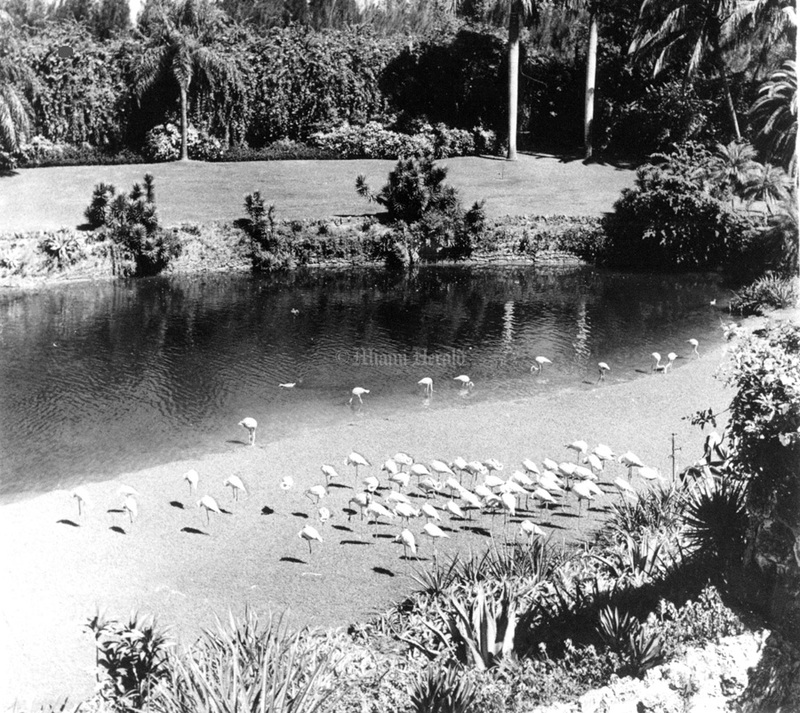 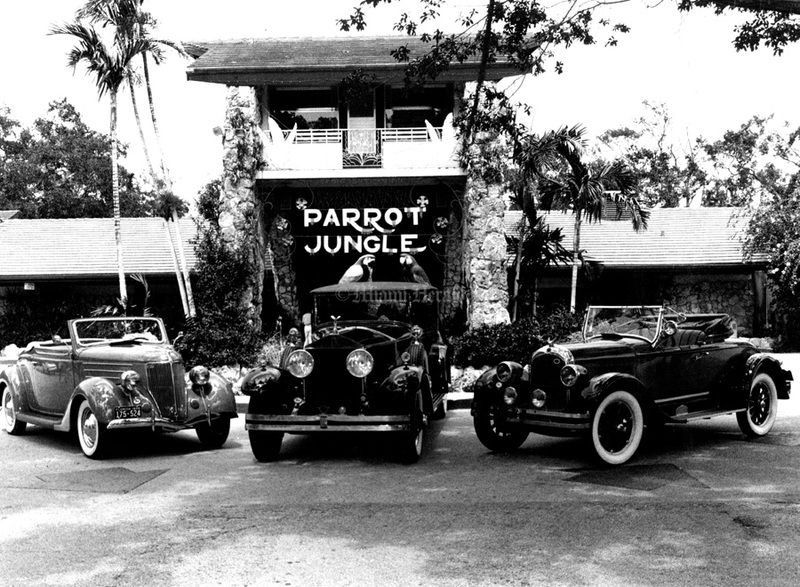 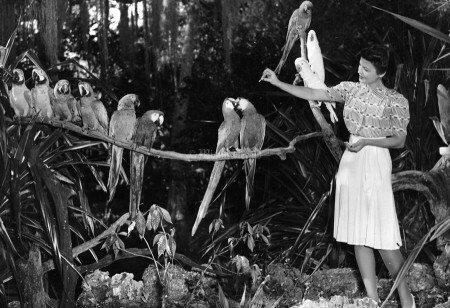 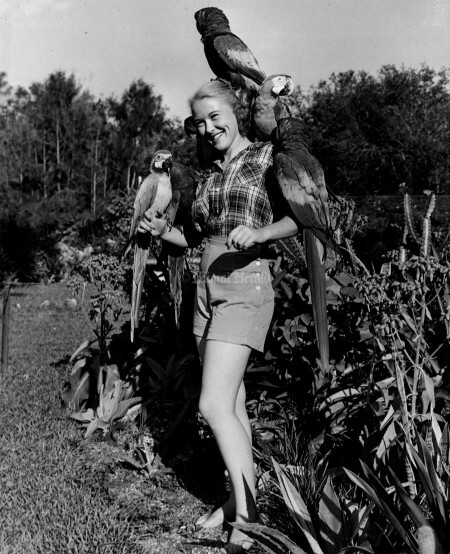 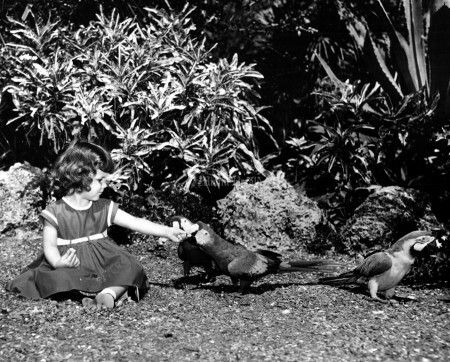 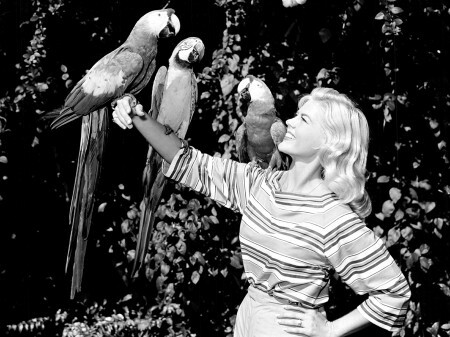 Parrot Jungle, symbol of all that was exotic and tropical in Miami, opened in 1936 in what is now Pinecrest. Austrian-born Franz Scherr rented 20 acres of cypress and oak hammock and opened the tourist attraction, charging 25 cents admission to see the brightly colored birds and eventually the lush gardens. 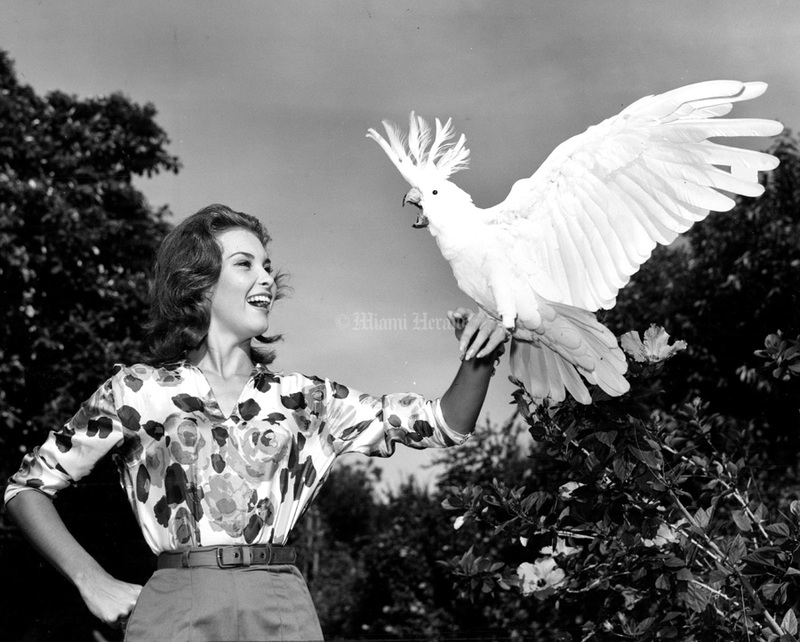 Generations of children grew up visiting Parrot Jungle Gardens and tourists posed for memorable photos with birds that included flamingos shown in the opening credits of Miami Vice and Pinky, a cockatoo who rode a tiny bicycle on a high-wire. Famous visitors included Winston Churchill in 1946. Two of the attraction’s parrots were featured on the cover of a Jimmy Buffet album in 1985. 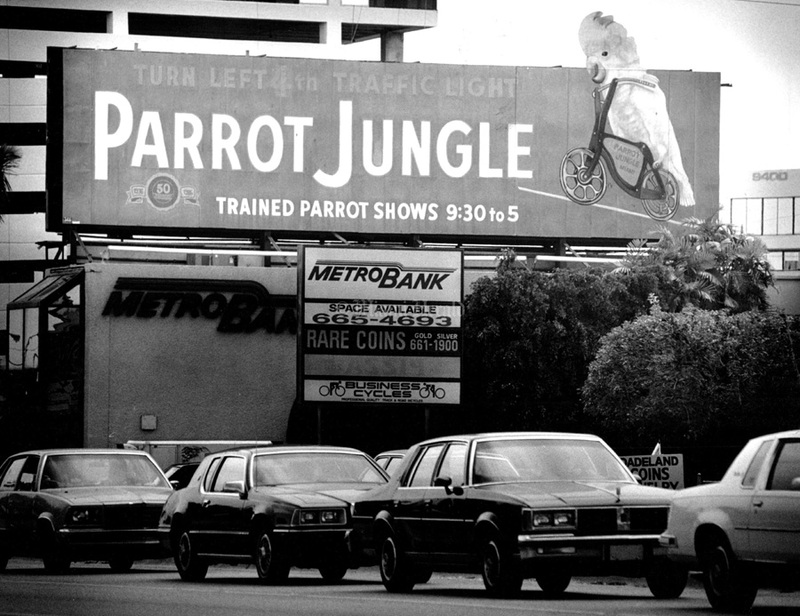 In 2003, the attraction moved to Watson Island and was renamed Jungle Island, a contemporary theme park. 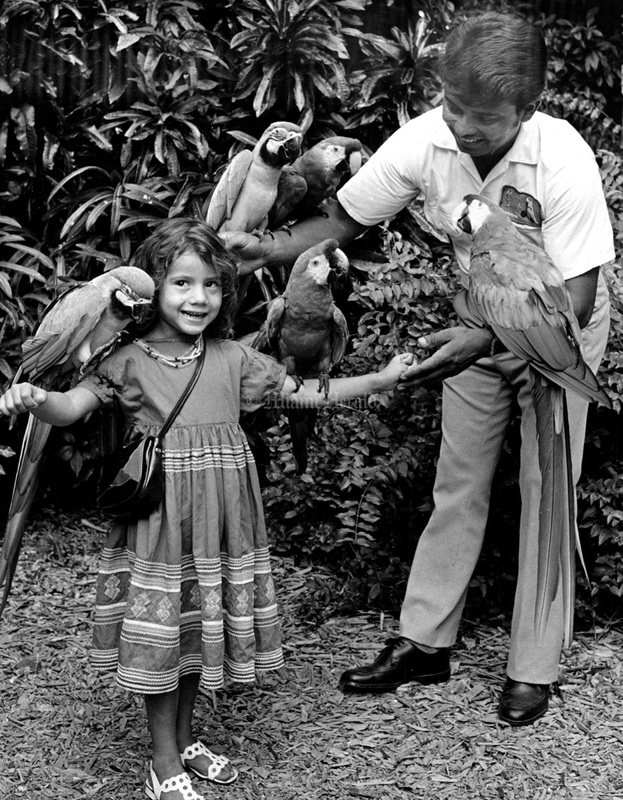 9/4/1974, Bob East/Miami Herakd: Parrot Jungle bird handler loads up Seminole head starter Nicolle Billie. 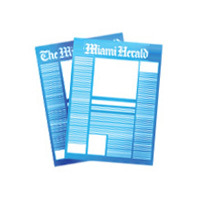 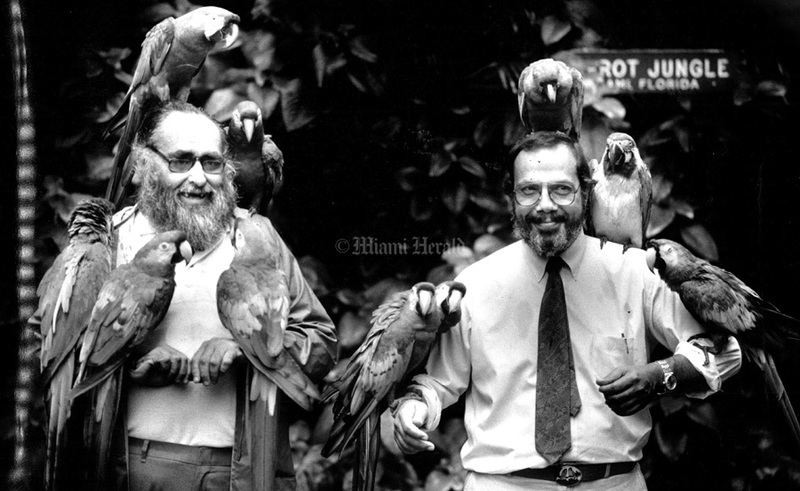 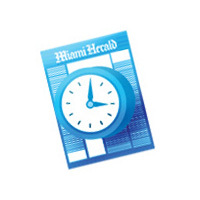 10/1/1988, Tony Olymos/Miami Herald: Richard Schubot, left and Bern Levin are the new owners of Parrot Jungle. 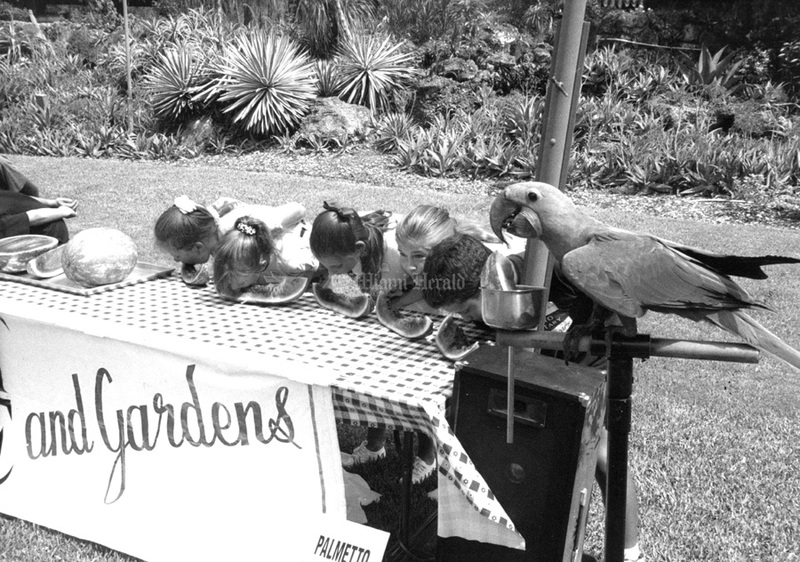 They are shown here with a few of the parrots that inhabit the landmark tourist sight. 10/8/1983: A brand new Lear's Macaw, gets do some dinner. 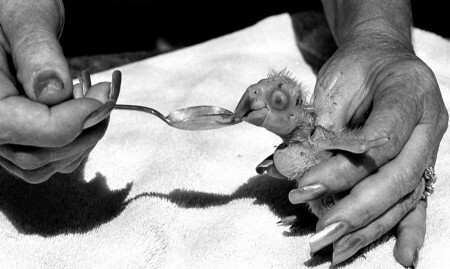 Chanel, 5 days old and weighting in at 10z, downs dinner hands belong to Nita Scherr, who is feeding the two new babies at two hour intervals. 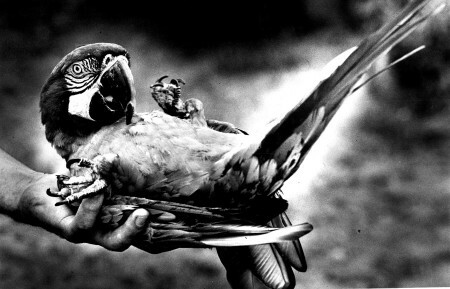 Undated: "Tad Cheatham puts these Macaws through their paces, but rewards each with a cracker at the Parrot Jungle." 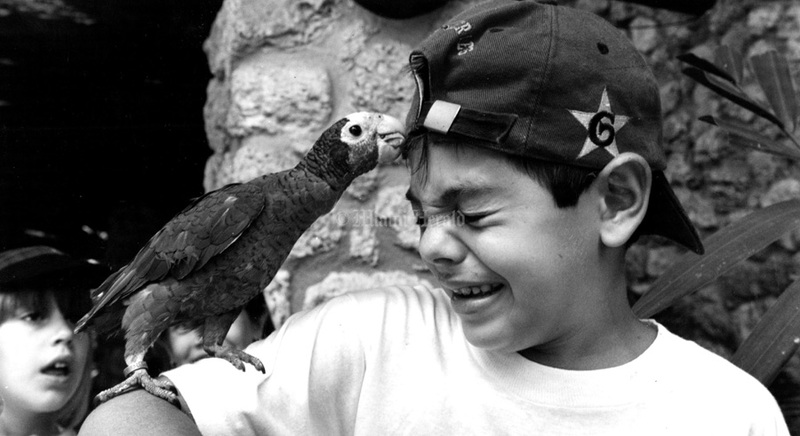 5/20/1994, Stephanie Sinclair/Miami Herald: Endangered Cuban Parrot Pepito, nibbles on the hat of seven-year-old Joshua Porro at parrot Jungle Friday. Parrot Jungle celebrated the grand opening of its exhibition, " El Loro Cubano" (the Cubon Parrot), on Cuban independence Day, and invited more than 300 students from neighboring Dade County Schools for the event. 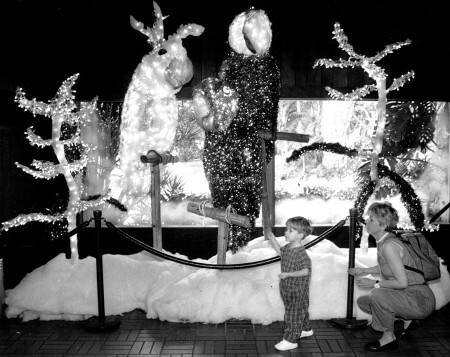 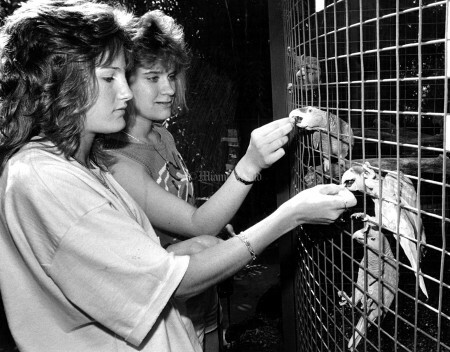 12/2/1990, Beth A. Keiser/Miami Herald: Ben Jackson comes out of the world's largest man-made Christmas tree for the second time that day at Parrot Jungle. 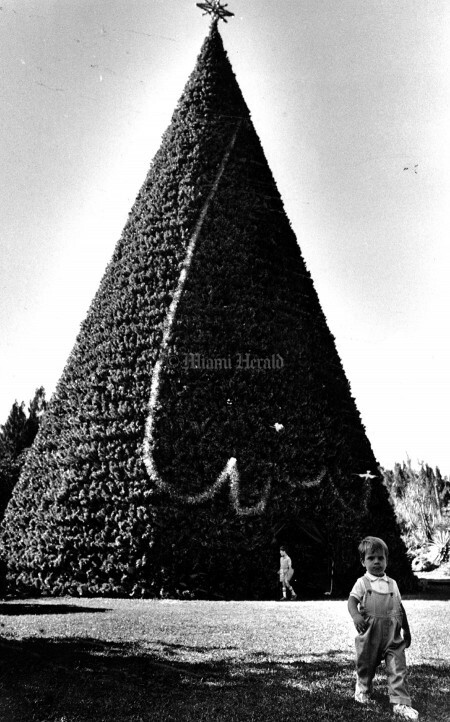 The tree is part of the "look Up Miami" fund-raising campaign with the proceeds benefiting the Children's Home Society. 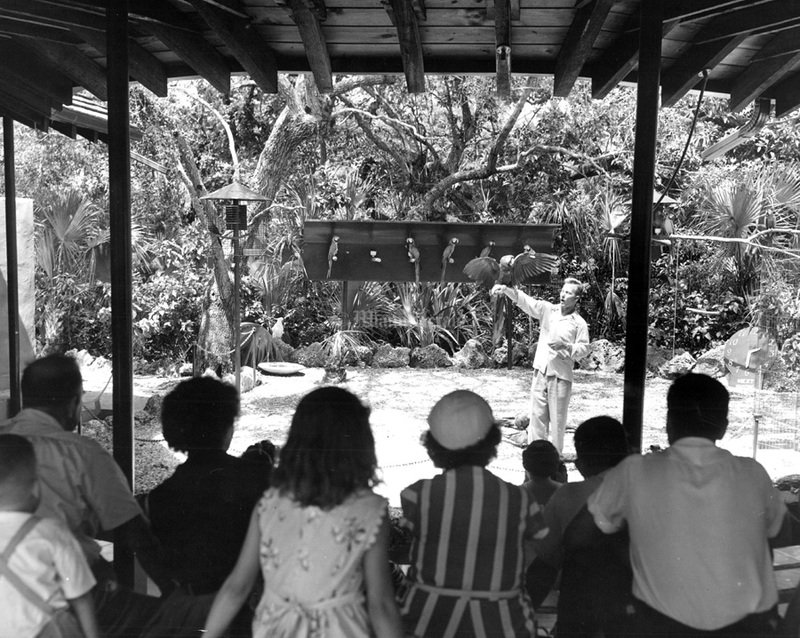 Undated: Tad Cheatham puts these Macaws through their paces, but rewards each with a cracker, at the Parrot Jungle. 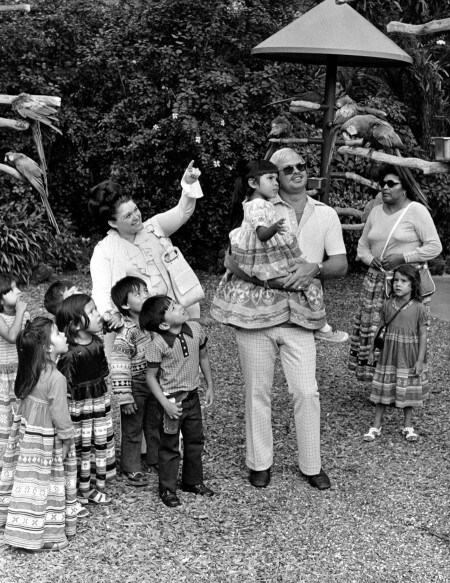 9/4/1974, Bob East/Miami Herald: Head start kids from Davie Seminole tribe visit parrot Jungle and were quite overawed. 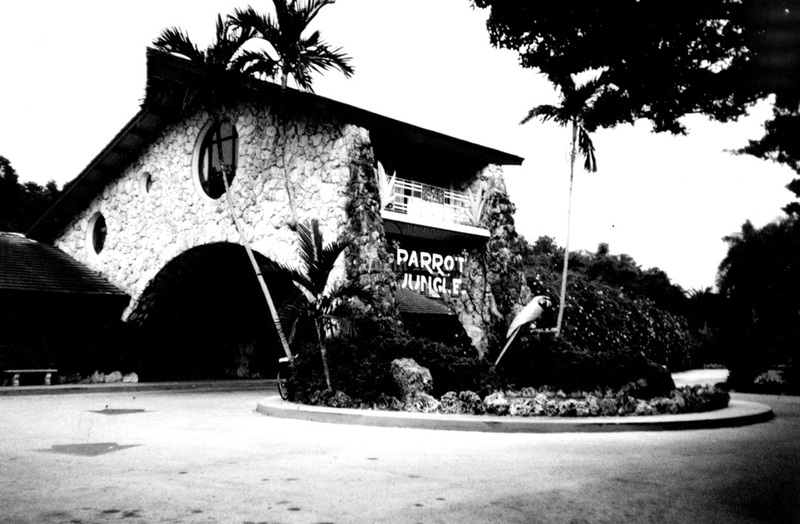 Undate: Hourly shows of trained birds are a feature at the parrot jungle, one of the outstanding tourist attractions in Miami. 4/13/1987, Mary Lou Foy/Miami Herald: Julie Davis, Sunset high, (left0 Julie Ramshak, Wisconcin (right) feed parrots at parrot Jungle during their get to know each other days. 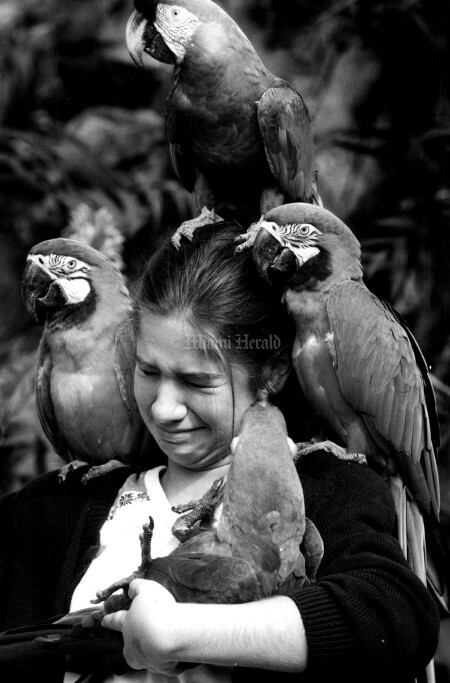 11/28/1992, Walter Michot/Miami Herald: 13Yr old Laura Yaniz, from Cuba who is visiting relatives in Miami enjoys the parrots with one getting a little close to her ear. 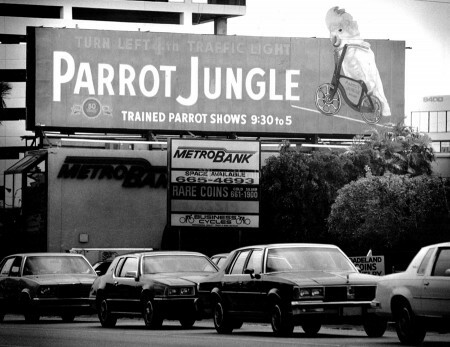 7/17/1989, Al Diaz/Miami Herald: Parrot Jungle Billboard has been at the same location for 27 years.